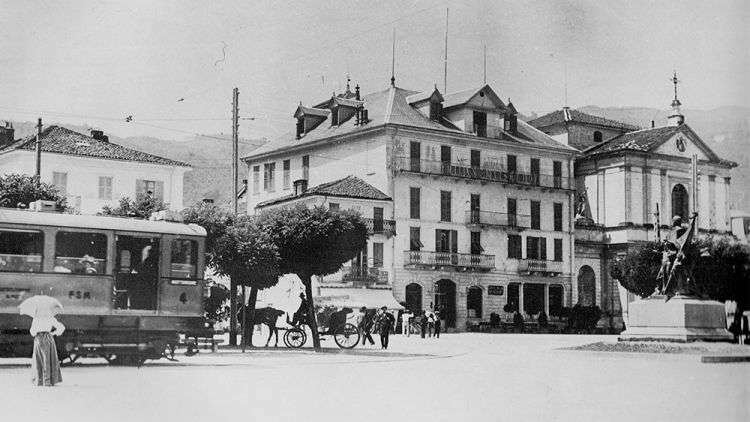 Our history starts in 1859 when Mrs. Elisabetta Bortolla builds, upon the Sempione street created by Napoleon, the Speranza Inn. Historian Vincenzo De Vit, describing those years' Stresa, said: <<...At the time Stresa could not boast anything more than its lovely position and the view of its picturesque islands. No house could be said civilized, except for that one, eventually expanded and embellished, in which Rosmini died. Few tiny houses could be seen upon the lake's shores, some of them with thatched roofs.>> Elisabetta had an inspired idea because a year later, just in front of the «Speranza», was built the village's docking bay which allowed the ferry directed to Switzerland to stop in town. During those years Stresa became the favorite destination of artists like Manzoni and Hemingway and rulers like the Duchess of Genova, mother of the first italian Queen, Margherita. 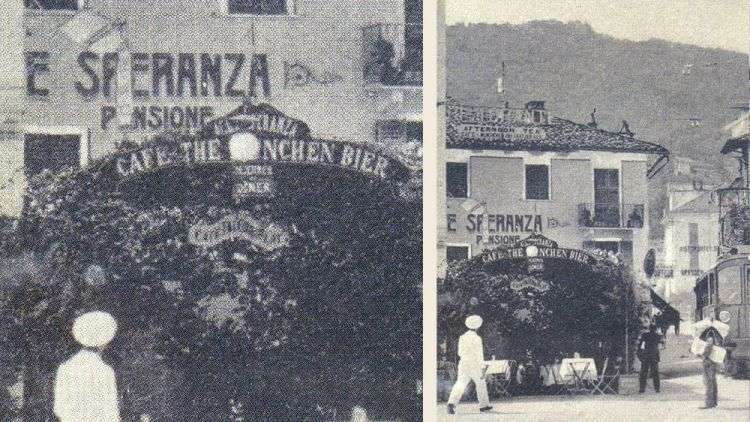 The hotel «Milan and Kaiserhof» was built just beside the Speranza. In this context Pietro, the first of our family with the talent for innkeeping, took over the management of «Della Speranza» inn. At the time the building consisted of five rooms and a restaurant. Pietro, with much economic effort, installed electrical current and running water: a notable luxury back then. Vittorio Emanuele III, king of Italy, launched the Sempione's rail tunnel which connects Milan to Switzerland. On his way back, the King stayed in Stresa at the duchy mansion. Stresa's station becomes a necessary stop of the Orient-Express on the London-Paris-Milano-Venezia line. During that year Pietro marries Marianna, who was an innkeeper at the near town Baveno; two years later Carlo Alberto was born, a protagonist of our family's history. During this year the lake boardwalk was founded, with its gardens and monuments. 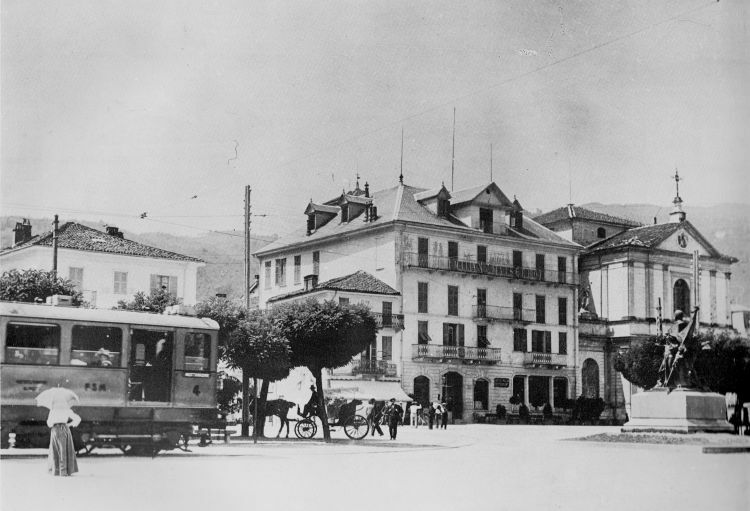 During the years before the war Stresa became one of the most famous turist destinations across Europe. It's Stresa's belle epoque. The Kursaal is built, a park leaned over the lake with a spa centre, a 'lido' with waterslides, a dock for float planes and a big restaurant suspended on the lake. These years see the creation of an electric railroad which connects the Stresa's dock to the Mottarone's peak, the mountain dominating the lake. 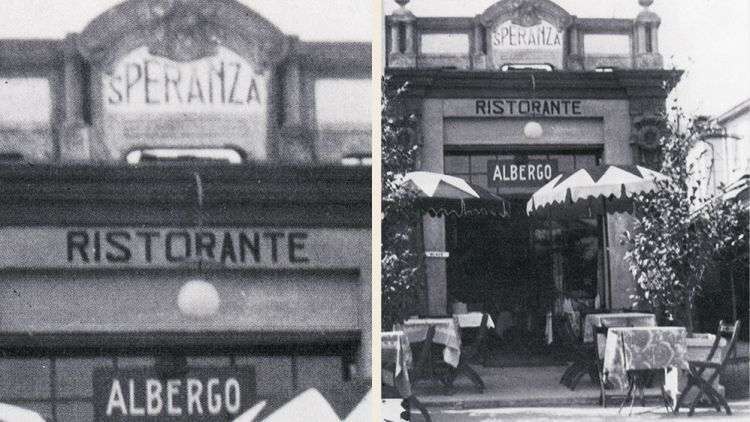 The 21st December 1922 Pietro and Marianna buy the Speranza inn. In this year the lake's boardwalk was completed. Carlo Alberto, after being in Switzerland to study languages, comes back and tells his father his wish to make a real hotel out of the Speranza. 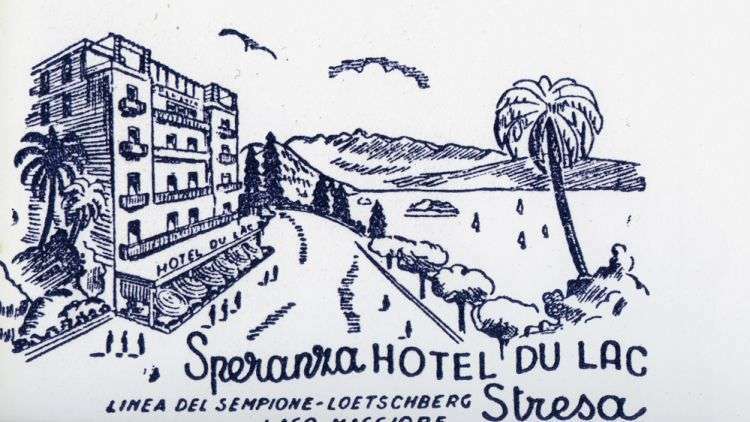 By the end of that year a three storeys hotel, with 58 beds, was born: the Speranza au-lac hotel. 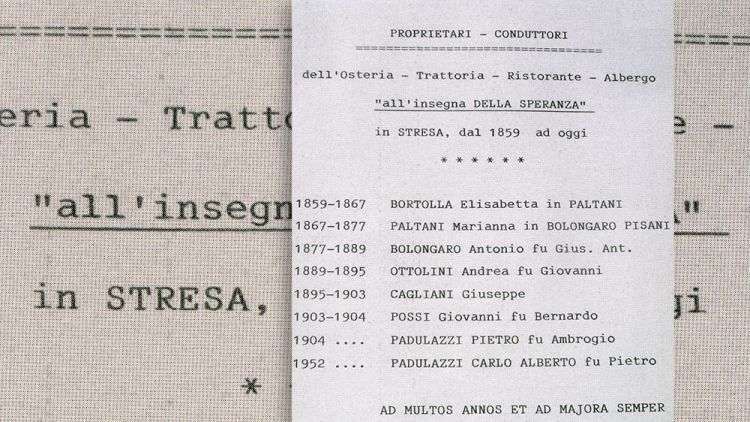 Three years later Carlo Albeto marries Franca, a girl from Stresa met during a study trip in London. During the same year, their firstborn was given to light: Gianpiero. 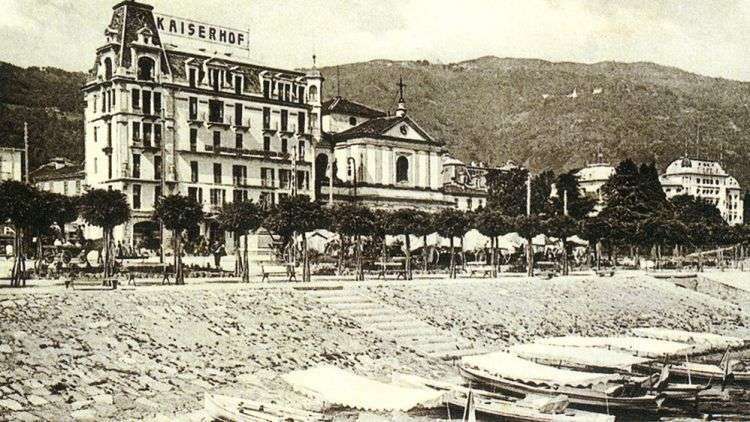 After World War II, Stresa feels the urge of a new beginning: the famous «Miss Italia» was founded, the beauty contest which still elects the most beautiful woman in our country. Carlo Alberto, with his father's Pietro help, decides to expand the Speranza and bring him to his actual six stories height. The hotel has 64 rooms. Its front is decorated with the first neon light sign of the city. The «Music Weeks of Stresa» are born in the city, a summer event that brings many great artists in it, like Arthur Rubinstein, Arturo Benedetti Michelangeli, Nikita Magaloff, Alexis Weissenberg, and the most important symphony orchestras worldwide, like that from the Scala di Milano and the London's one. 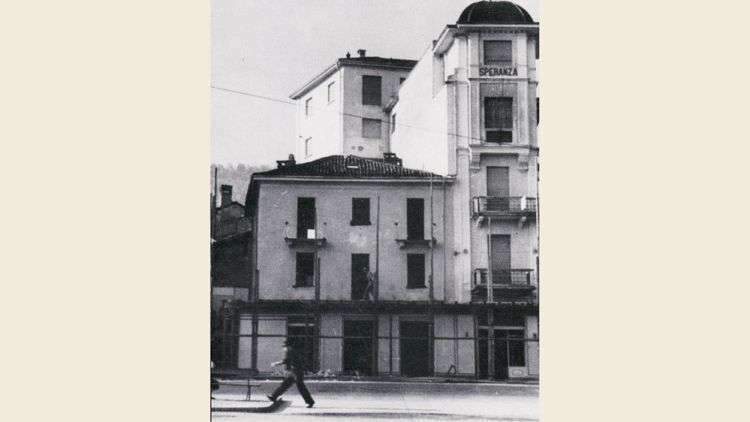 Also in that year Carlo Alberto buys the Milan hotel, once Kaiserhof. Thus completing the structure of the current Milan Speranza au-lac.